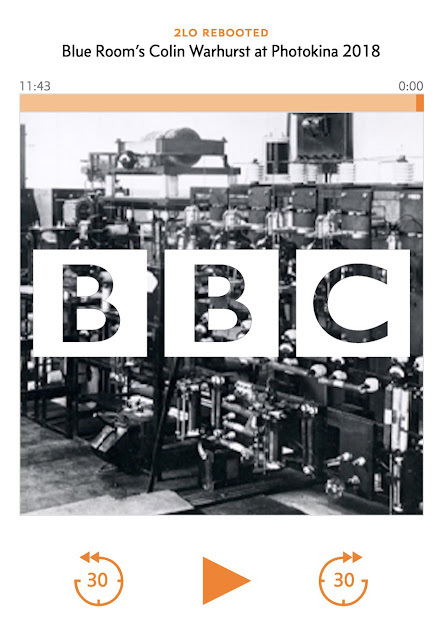 Earlier this month, I sat down with BBC R&D's Bill Thompson to record an episode of 2LO Rebooted, which is BBC Design + Engineering's Podcast used to talk about all things Technology, Audiences and Innovation. In order to promote the Blue Room Photokina 2018 report that I had not long finished writing, Bill and I sat down to record a short podcast where we talk about some of the trends I uncovered whilst at the world's largest Photographic and Imaging trade fair. It's a ten minute blast, mostly unplanned, and I hope it gives you a sample of the some of the work the Blue Room gets up to and the sort of insights that we deliver to our colleagues and to our audiences. If nothing else, I deliver what I think is a very nice (and short!) primer on the what makes a DSLR or Mirrorless camera, and what the key differences are. So if you've always wondered but been to afraid to ask, this podcast is for you!